Talking to your community member during visits reinforces the importance of stopping smoking, boosts motivation and will often trigger a quit attempt. One in 33 conversations about quitting with a health professional or community leader will lead to a successful quit attempt. For more ideas on how to talk to someone about their smoking check out this clip from Dr Hayden McRobbie, an international expert on behavioural medicine. Providing direct support to your community member is vital to quitting and staying quit. Aboriginal Quitline (13 7848) Monday to Friday, 8am to 8pm. A free, culturally supportive and confidential counselling service that can increase a caller’s chance of quitting successfully. 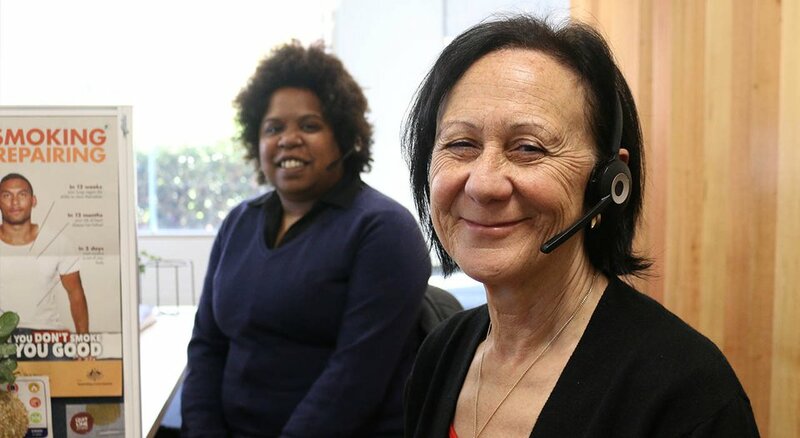 A tailored service for Aboriginal and Torres Strait Islander people, our Aboriginal Quit Specialists can guide your client through getting ready to quit, quitting and staying smoke free. 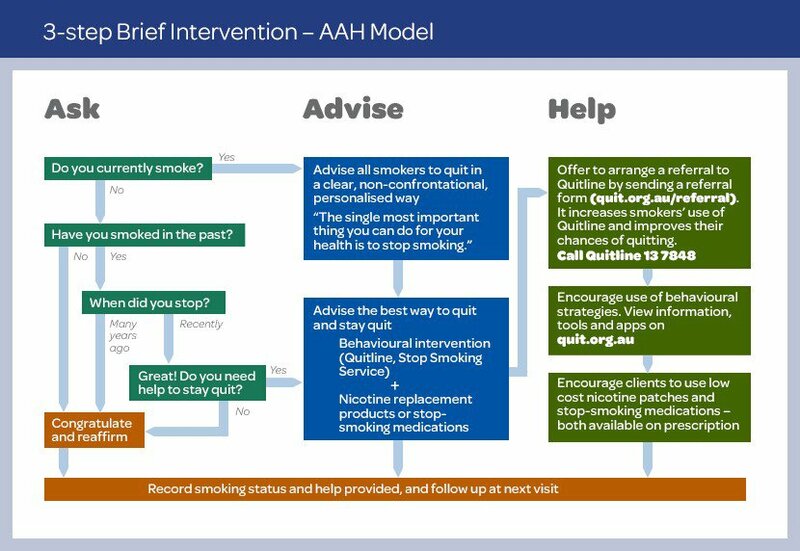 Encourage your mob to talk to their GP or Aboriginal Health Worker about their plans to stop smoking, and quitting medications. They can assist with prescribing NRT products or quitting medications, and monitor levels of any other medication they may taking during the quitting process. These free mobile services can provide personalised support to help quit smoking. Features include goal setting, celebrating milestones and distractions for the smokers’ most vulnerable craving times.